Loupe 2 is really amazing! Hey is there a PDF for this, I’m having trouble loading my own loops? Thanks! It specifically addresses loading samples in Loupe. 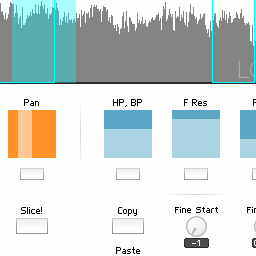 16 bit 44kHz WAV or AIF samples work best, in 5 to 10 second chunks. Any change of show how the touch OSC actual works or how to set it up……. I’ve never been able to make my function yet. Thanks a tonne! Hi Cecilia, it’s a little tricky because it requires both MIDI and OSC to work properly. Are you on Mac or Windows? Hey Pete I’m on the latest Mac! 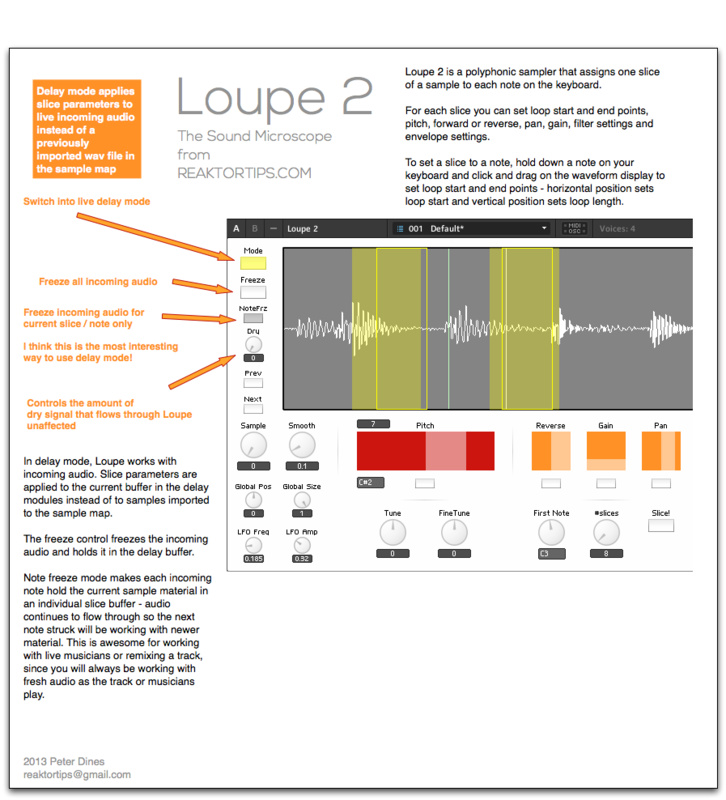 …then you ought to be able to send notes from the touch pads at the bottom of my Loupe 2 layout. Ok I’ll have a go tomorrow! “Bidirectional OSC and WiFi Midi must be enabled”?…. Sorting this out is more time consuming than looking for rocking-horse manure…. Hi Cecilia, I’ll try to clarify. The MIDI is necessary to trigger notes from the TouchOSC template. This is unidirectional – MIDI doesn’t need to go in the other direciton, from Reaktor to TouchOSC. The OSC signals, on the other hand, need to be bi-directional in order to have TouchOSC update its controls to reflect the Reaktor control settings of the last note / slice that was triggered. So TouchOSC needs to be set up to send to the IP address and port number that Reaktor is receiving on, and Reaktor needs to be set up to transmit OSC to TouchOSC. 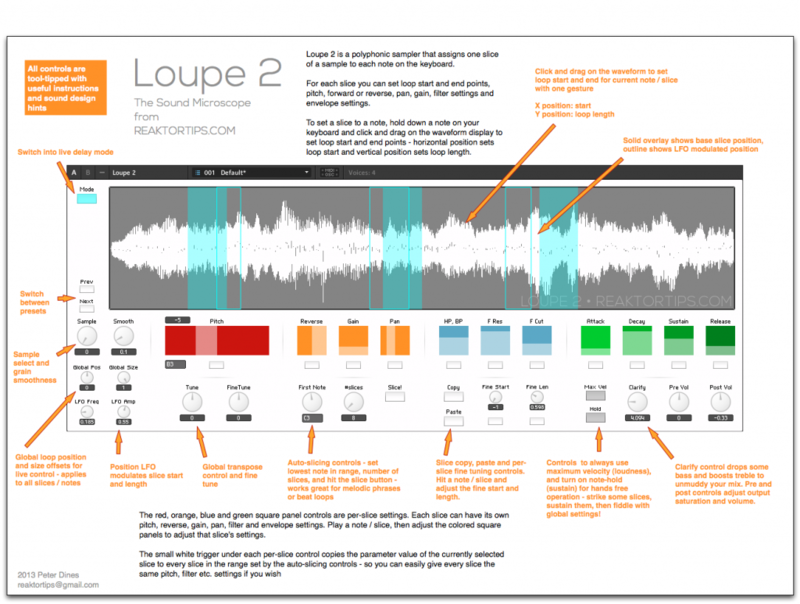 How does this compare to the mangle vst? I’m pretty sure The Mangle doesn’t have an FX option for routing live audio through it. 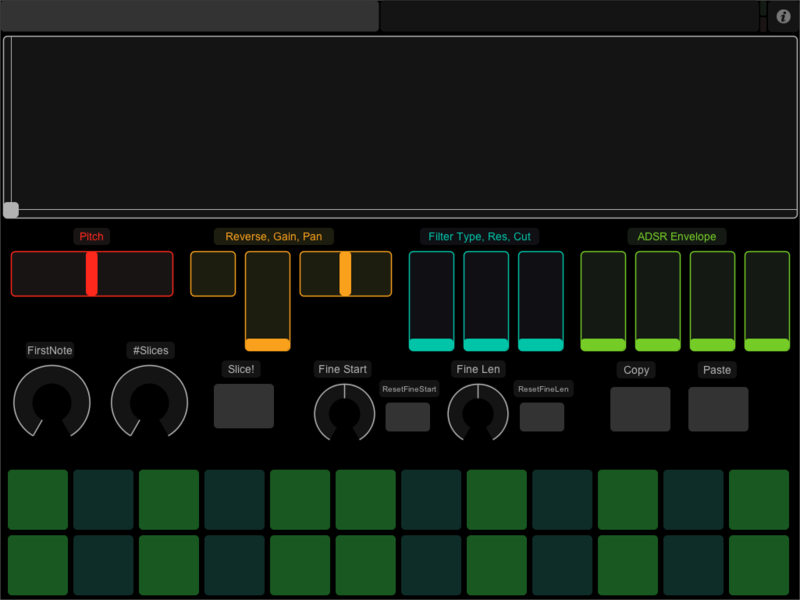 Also, since this is Reaktor you can pop the hood and modify it yourself. Also, I’m not sure but I think with The Mangle you can’t have each keyboard key assigned to a different sample slice with its own filter and envelope settings. I could be wrong about this… I bought The Mangle a while back but haven’t used it much. I do recall it has 8(?) sample slots with individual settings for each. Thanks for the explanation. Both look cool, I just got Reaktor so once I understand a few basic things, I’ll probably get either one. I really love Loupe 2. The only thing I wish could be added is the ability to change the speed of the triggered samples, especially in grain delay mode. Would this be possible in a future update? Hi Greg, are you talking about the way granular synthesis and timestretching traditionally works, by traveling more slowly through a sample and playing overlapping small slices? I’d like to do something like that in an update, to combine the capabilities of Loupe and Mirage. This will require moving the instrument(s) to the new Reaktor 6 table framework, which would enable finer-grained control (pun intended) over sample position and grain overlap. IMO the table framework is a bit immature at the moment though. In particular, the CPU usage is abominable. We’ll see how things develop in the coming months. So to get back to your question – yes, it’s possible, but won’t be a quick fix. Yes, that is what I was referring to. Thank you for the explanation! Looking forward to what you might come up with in Reaktor 6!. I really do appreciated how your ensembles do what they are intended to do so well so thanks for the consideration! Quick question – is there anyway that pitchbend, a glide/portamento function, or a pitch enevlope can be added. i am very new to reaktor and just watched a video on how to add a pitch bend to a device, but my attempt was unsuccessful – if that would be easy for you to do, it would be great to get some sort of update on this. Or if you could send over a modified verison of Loupe 2 that has this features for me I would be willing to pay for it. IIRC the grain cloud module only reads the value at the P input when the grain retriggers. What I could do is set up something to send quantized 16th or 32nd note retriggers when the pitch bend is engaged. That would yield sort of a “squarepusher” robo-repeat sound on pitch bends. Would that be usable? Thanks for the quick response – and sorry for getting back a little late! I actually ended up messing around with Reaktor quite bite (I had very little experience previous to this), and tried adding in a pitch bend, glide effect, and a pitch envelope. I was able to add in rough versions of a glide and pitchbend, but struggled with the “grain re-triggers” that you spoke of. I was unsuccessful with my attempts to add a pitch envelope. What makes this vocal sample solo unique is that there are multiple vocal samples within in that have a glide affect that seems to be tied between the different samples. Pitch Bend – They could have used a pitch bend to mimick a glide affect as they went from sample to sample. IE a pitch bend up affect was used to transition from a low to high samples and the inverse was true for a high to low sample. Pitch Envelope – They possibly could have used a pitch envelope and applied some kind of logical modified to it that would understand the relative key position or pitch relative to the other vocal sample that was played before? This seems unlikely/impossible though. 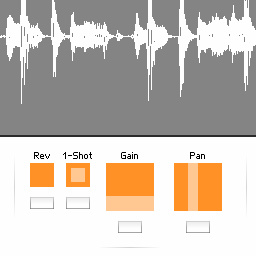 So with that extremely detailed and probably boring post, I am wondering if you have any ideas on how this could possibly be done in Loupe 2.02 or Kontakt if you are familiar with other Native Instrument products. I am by no means a computer programmer, but I have become pretty familiar with samplers as a result of this journey to achieve this vocal sample solo affect…so if you would like to talk more or share ideas back and fourth on this let me know. Hi James, thanks for the long and detailed post, actually! It’s cool seeing someone else’s “trail of bread crumbs” in the sampling domain. What I actually think is going on here, is that the melisma (pitch glide) is baked into the vocal performance and there’s actually less processing and instrument-playing than you might think… I’d guess that Ableton’s clip warping is involved, though you can also do similar things in Reaper and other DAWs that have time stretching and pitch shifting modes. On the other hand, the ability to play something like this live and really shred on it rather than modifying a performance would be awesome. Quite possibly you could get close in Reaktor by using the pitch former sampler module. Try the PitchFormer sampler by James Walker Hall in the user library, part of his sampler pack, and play with the settings. Unfortunately I don’t think Loupe is well suited for this as each key/slice has individual pitch settings and it doesn’t play like a typical keyboard instrument. Kontakt, possibly, though it might require some custom KSP programming to really nail it. Thanks again for the reply! Interesting thought on the pitch bend being in the original vocal performance and the possible use of clip warping..that makes a lot of sense. I will look into PitchFormer. Thanks again for making Loupe – even if it won’t work for this specific use it still is a great and unique sampler! hello, Loupe 2 is excellent. I’m trying to use delay mode as an effects insert in an audio track for Logic X, but unfortunately I can’t figure out a way to get the ensemble to receive midi notes. Does anyone have ideas. 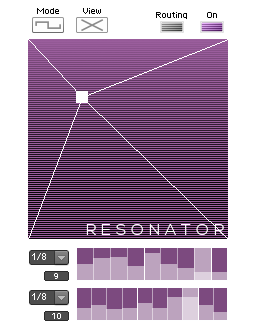 I suppose I may have to use reaktor in stand alone mode. Hi Kevin, I unfortunately don’t have access to Logic but I can try to troubleshoot… can you route audio from one track to another in Logic? You might need to do that if audio tracks can’t accept MIDI note input. Another possibility is routing MIDI through the Logic “Environment”. Not sure if that will let you send to an effect though. Sorry for your ordeal! I’ve had the same headaches in Ableton. This is why I like Reaper – there are no silly rules about what can or can’t receive MIDI or audio, and you can pretty much send anything anywhere. Hi Peter. I’m a huge fan of Frame but really need the additional features provided by Loupe 2. Please could you confirm that Loupe 2 is fully compatible with Reaktor 6? I did read your statement above (“requires a full installation of Reaktor 5.8.0 or newer”) but just wanted to check before purchasing. It looks/sounds superb. Many thanks. Hi Matthew, it works fine for me in the current version 6.2.2 and I’ve had no reports of any problems. Thanks for getting back to me. I’ve just spent about three hours playing with Frame 3 in Reaper. Creating track envelopes for Position, Length, LFO Freq/Amp etc. 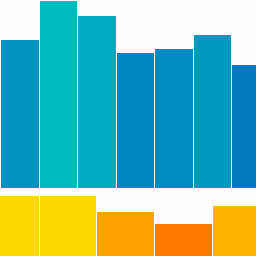 and then randomizing them using Padre’s LFO Generator (from the SWS extensions) yields some mind-blowing results from even the most basic material. Not truly “random”, of course, because they are envelopes but infinitely tweakable and, most importantly, a ton of fun. I’m just waiting for some payments to clear and then I’ll be purchasing Loupe 2. Cheers!